I really love the work that Lucy at Attic 24 does. The colour combinations look so brilliant and make me a little happy! On our recent holiday to Florida I needed a project to keep me busy in the evenings as with two little ones, there aren’t a lot of big nights out any more! 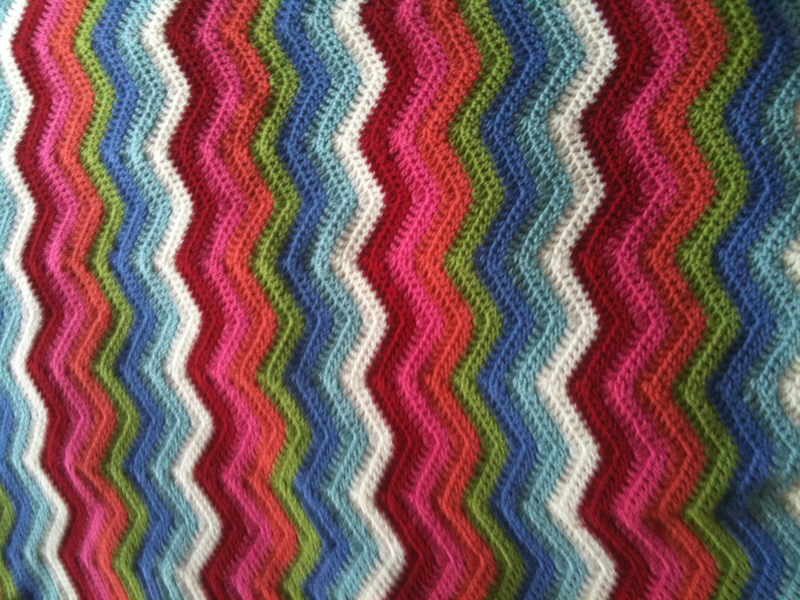 A rainbow ripple baby blanket was just the perfect project. 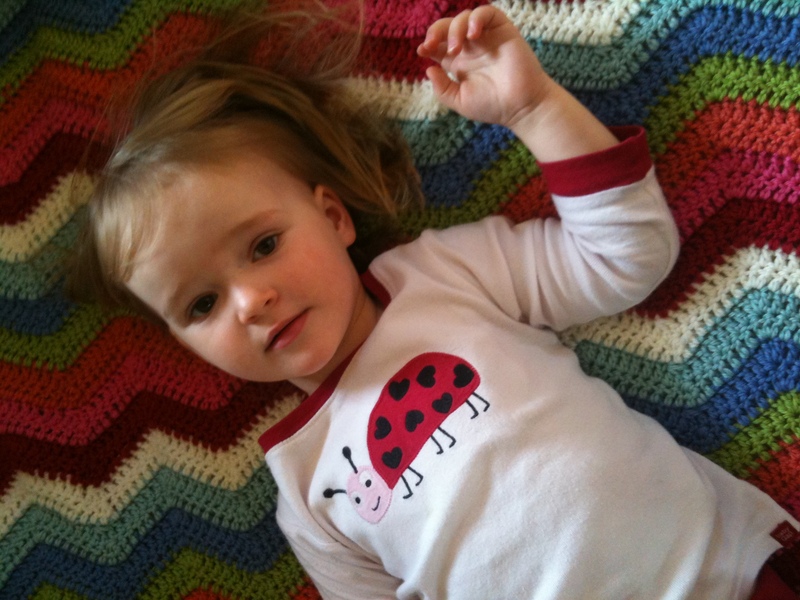 Attic 24 has a great pattern and tutorial on her blog. I bought my yarn from Jo-Ann on the 192 in Orlando. I only ended up on using one of the greens as in the light of day they were actually a bit too similar in shade. I would have also liked a yellow but the one they had was a little toooo yellow and also purple would have been good. Anyhow, I ended up with seven different colours. 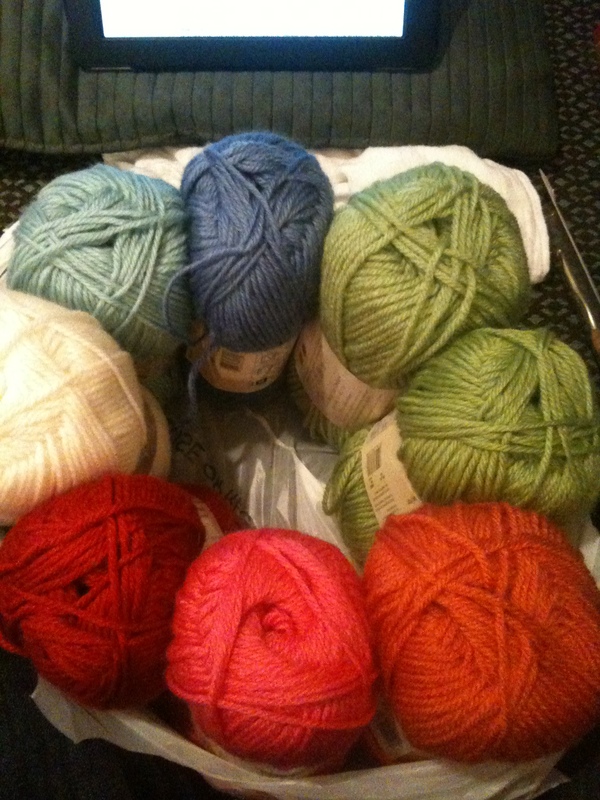 I knew I was going to make a square baby/cot blanket, but had no idea at all how much yarn I would need….the overly painful decision in the shop was one ball of each colour or two…one or two…one or two….one or two! I am so terrible at making decisions that I drive myself crazy. In the end I went for just the one ball of each and left the shop with my fingers crossed. This was such a lovely project to do in front of the television of an evening. Very rhythmic and I got to the stage where I could almost (only almost) do it without looking! I didn’t quite finish the blanket on holiday so it got packed into the suitcase to come home. I did toy with the idea of taking it on-board with me but I wasn’t totally sure whether my hook would make it through security and we were travelling with two little ones – who was I kidding! Arriving back in the UK via Manchester airport is such a dream, so fast in comparison to London. That is until you discover that some fool has taken your bag home in error! Of course it was the bag that had my work in progress in it – argh!!! I spent a week making calls to the airline and the airport trying to get my bag back. I had spent over 8 hours on the blanket…I had to get that bag back!! I am so pleased with the result and my husband said it was the nicest thing I’ve ever made (how sweet) and at the moment it is too nice to go into Charlotte’s playhouse as originally planned. It is currently in our bedroom, for morning and evening cuddles with the little ones, and I even used it the other night when I had left a bedroom window open and was too cold to get out of bed and close it! Gorgeous colours, I love how the white lifts the whole thing, very inspiring! I’m in the process of choosing colours for a ripple blankie for myself, I am almost there with the choosing, it’s a fun part!